CDNs Collaborate to Prevent Request Loops Using CDN-Loop — Cloudflare, Fastly and Akamai have collaborated to build a new mechanism to protect against request ‘loops’ where requests get caught in a costly loop of proxies. Here’s a full explanation of the problem and how they’re solving it. Who Has The Fastest Website in Formula 1? — Comparing the performance of 10 recently updated Formula One motor racing sites and seeing what common issues exist. Jake also goes through the tools and techniques used for testing. 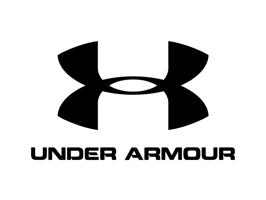 How Under Armour Prepares for Peak Holiday Traffic — Under Armour's engineers use Chaos Engineering to build confidence that their systems will deliver a consistent customer experience during usage spikes. The AWS EC2 Windows Secret Sauce — Some interesting digging around behind the scenes to try and figure out how AWS EC2 can provision Windows instances so quickly. Pi in The Sky: Calculating a Record-Breaking 31.4 Trillion Digits of Archimedes’ Constant on Google Cloud — Google have gained a Guinness World Record with this effort that took 2,795 node days of computation time and 17 PB of disk IO. As an interesting aside, Corey Quinn calculates it would have cost about $226k on GCP versus $180K on AWS. 📢 Brief news items: MySpace has lost the music stored on the service between 2003-2015, AWS teased its forthcoming NVIDIA T4-powered G4 EC2 instances, Static hosting platform Netlify has made builds more flexible with an updated Linux image, Amazon EKS introduced Kubernetes API Server Endpoint Access Control, Cloudflare can now also protect UDP-based services, EU government Web sites are riddled with adtech cookies and trackers, and Germany wants to make it illegal to operate a Tor node or site. How On-Demand Pricing Slashed an AWS DynamoDB Bill by 90% — A look at how a company using DynamoDB for all their app’s database needs saved big using the new on-demand pricing model. New Microsoft Azure Elastic Agent Plugin for GoCD — Run your CI/CD pipelines on Azure virtual machines. Let GoCD scale up on-demand agents based on your needs. IPv6 Unmasking via UPnP — Exploring "a technique that relies on UPnP NOTIFY packets to uncover pairs of IPv4 and IPv6 addresses of dual-homed hosts." Basecamp's Outage: When It Rains, It Pours — David Heinemeier Hansson, the creator of Ruby on Rails and CTO of Basecamp, shares how they’re ceasing major product development to focus on infrastructure and operations. In the comments, DHH notes they will be moving from Google Cloud Storage to AWS S3 as part of this. Vertically Scaling PostgreSQL — The Postgres database is receptive to making use of extra CPU, memory and disk resources but some config tweaks are necessary. P.S. If you’re a Postgres user, check out our Postgres newsletter. How to Create a Scalable Image Processing Service on AWS Lambda and API Gateway in 10 Minutes — One of those thorough, step by step tutorials for you to follow along with. You’ll need to follow fast for it to be 10 minutes though.